Tibet Travel Review Tibet Travel Review-From: Poul fensmark hansen [mailto:not shown] Sent: Friday, August 14, 2009 5:32 PM To: Tony at Tibet; Nadia Felby Subject: Recommendation for Tibet Travel Expert(Tibet Ctrip Service) Hello Tony, I forgot to tell you that we can not find all the positive words we want, to describe how glad and satisfied we were,especially with our Guide Denzin, but also our driver. If it wasn`t for them the trip has not been so successful as it was. We will recommend your travel agency highly! We miss Tibet a lot, hope to come again! Poul Here below is their handwritten Tibet Tour review. 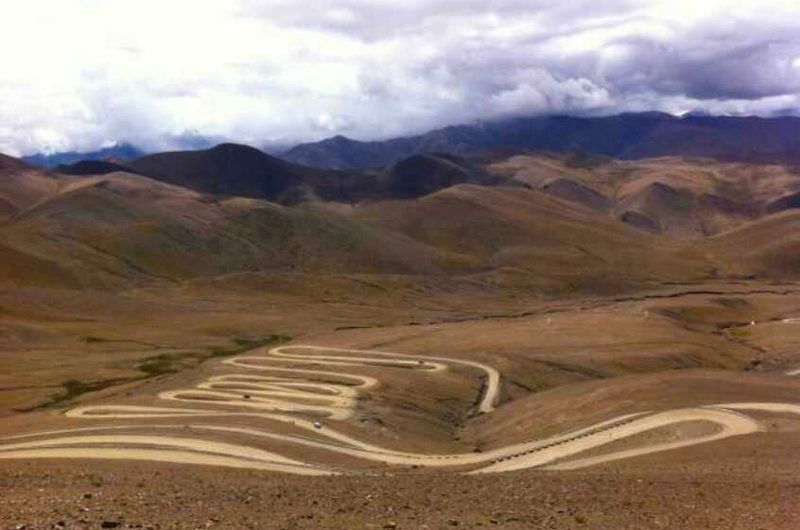 Tibet tours reviews Tibet tours reviews and Tibetan tour agency recommendation are offered by Greg’s family from USA. We are happy to share the Tibet travel experience with those travelers wanting to travel to Tibet. Sichuan to Tibet overland tour review:Chengdu-Kangding-Litang-Batang-Mangkham-Zogong-Raog-Pomi-Bayi Town-DraksumTso-Ganden Monastery-Lhasa-Lake Yamdrok Tso-Gyantse-Shalu-Nartang Monastery trek-Everest B.C-Lhasa, Real Tibet adventure with Tibet Travel Expert (Tibet Ctrip Service), Lhasa, July,2009 Tibet Travel Expert Service is one reliable agent and great Tibet tour operator. 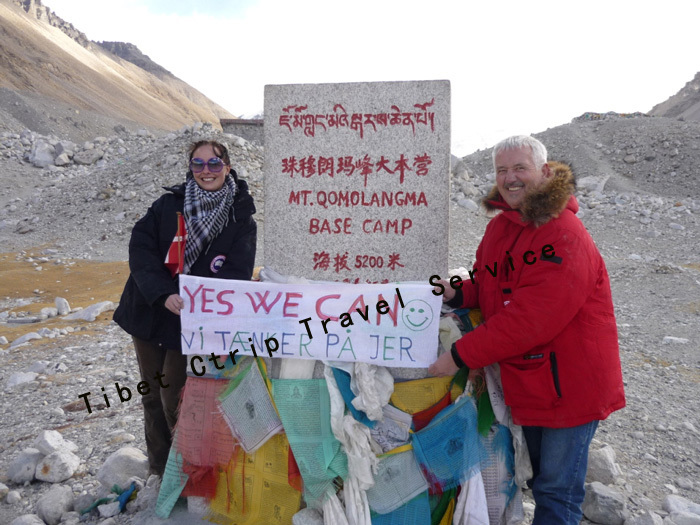 Tibet family travel reviews by Canadian Family of 3 generations. The Tibet Itinerary our distinguished clients from Canada traveled with us: Xi'an-Xi'ning-Lhasa (Train)-Drak Yerpa Meditation Hermitage-Ganden Monastery-Tedrum Nunnery-Reting Monastery-Damxung-Namtso-Lhasa-Lake Yamdrok Tso-Gyantse-Shigatse-Shegar-Everest B.C-Zhangmu-Kathmandu, read more details for this Tibet trip and to enjoy and share their Amazing Tibet Travel Photos Album, please click the link. Here below is a kids-feedback-letter about Tibet-tour-review 2013! And you can learn more about our Tibet Travel Agency. Tibet family travel reviews by Canadian Family of 3 generations. The Tibet Itinerary our distinguished clients from Canada traveled with us: Xi’an-Xi’ning-Lhasa (Train)-Drak Yerpa Meditation Hermitage-Ganden Monastery-Tedrum Nunnery-Reting Monastery-Damxung-Namtso-Lhasa-Lake Yamdrok Tso-Gyantse-Shigatse-Shegar-Everest B.C-Zhangmu-Kathmandu, read more details for this Tibet trip and to enjoy and share their Amazing Tibet Travel Photos Album, please click the link. Here below is a kids-feedback-letter about Tibet-tour-review 2013! And you can learn more about our Tibet Travel Agency.